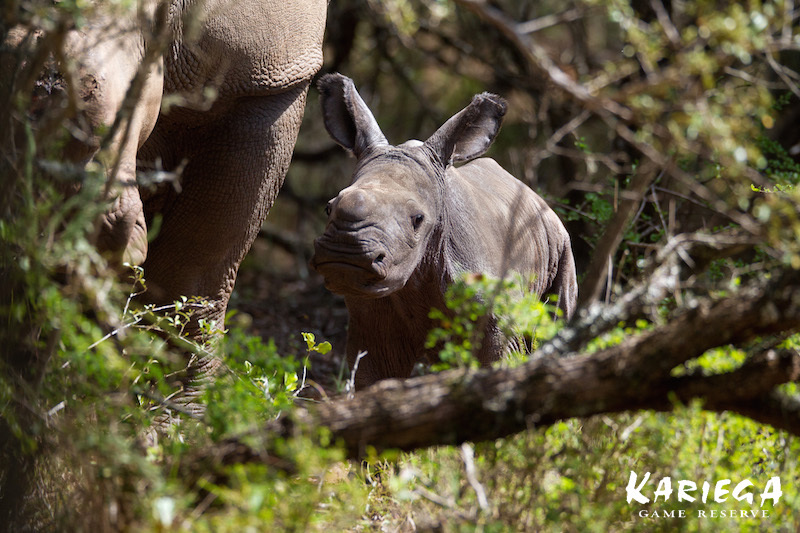 “Kariega Game Reserve is delighted to announce that poaching survivor, Thandi the rhino has given birth to a calf this morning [Jan. 13]. Wildlife veterinarian Dr. William Fowlds observed the mother and her calf from a distance. He confirmed that both are doing well. South Africa has the largest population of rhinos in the world. However, figures compiled by the South African Department of Environmental Affairs show a dramatic escalation in the number of rhinos being poached. During 2014 a staggering 1,116 rhinos were killed. Over the past five years 3,569 rhinos have died at the hands of poachers. For the safety of Thandi and her calf, the area is off-limits to all visitors. It is of most utmost importance that both rhino are left undisturbed to ensure that the calf has the best chance of survival.